Australia’s fastest female butterfly swimmer and Olympic Gold-Medal winner Jessicah Schipper has announced her official retirement. The 27-year-old competed at three Olympics and was a part of Australia’s gold medal winning relay teams in Athens and Beijing. Jess is ranked number one on the Australian all-time top-10 for both the 100m and 200m butterfly. She still holds both of the Australian 100m and 200m records. 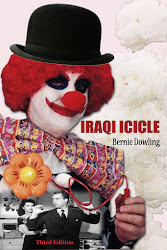 The unassuming champion wrote the introduction to Bernie Dowling’s 7 shouts, available as an eBook. Schipper last competed at the London Olympics which Dowling covered on his daily Blog. His London musings will be part of the sequel to 7 Shouts. Bernie Dowling’s 7 Shouts is a comic cosmic journey from the edge of the city into the heartland of the metropolis passing through the mullet festival, the school fete and the rural show. 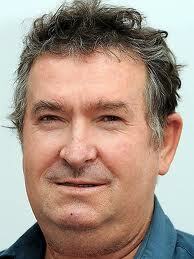 7 Shouts is based on 11 years of award-winning Australian newspaper columns. 7 Shouts is a classic contemporary doco of a world gone mad, but still a heap of fun. Creator of the Barack Obama scoring system for Australian Slang. Historian recounting how the french poodles Fi Fi and Fa Fa entered the Pine Rivers sheep-dog trials. Matchmaker arranging a date between an impoverished teenager and pop singer Delta Goodrem. Purveyor of unusual photos, weird facts and links to crazy songs. Sadder news of retirement came from the management of rock band AC/DC. Guitarist Malcolm Young had dementia and can no longer play AccaDacca songs. We will play one featured in 7 Shouts 4U, magnificent Mal.